However, beach waves are truly achievable for — and agreeable with — just about all hair types. 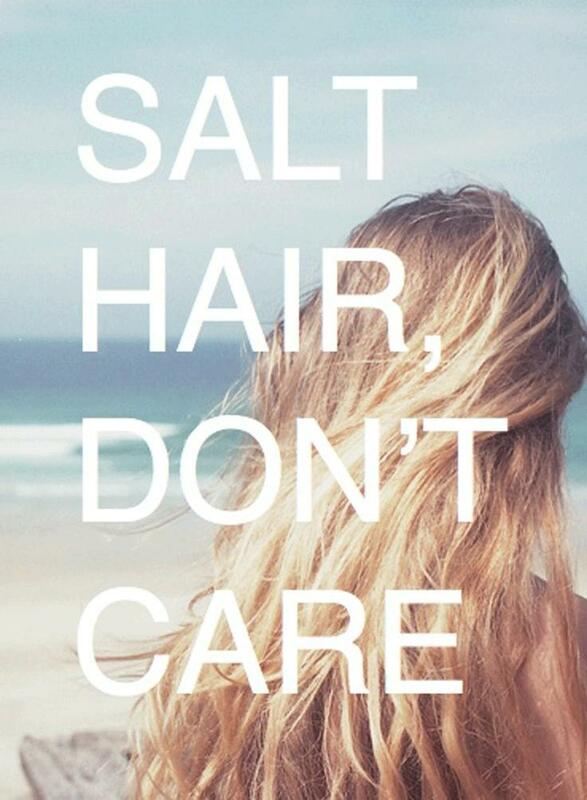 Remember, the humidity of summer means that even fine hair can hold a wave! We love a team player. Below are our tried-and-true methods for creating the kind of salty, tousled texture that will make Gisele Bündchen jealous. Well, maybe. There are few things better than a style that can earn you some precious extra moments of shut-eye in the AM. This one requires no more than a minute, getting you out the door in no time at all. Before going to sleep, divide dry hair into two sections. (More if you have thicker hair, maybe only one if your hair is especially fine. Play around, it’s fun!) Twist each section into a tight coil, and, using a fabric hair tie or pin, secure in a small bun. In the morning, shake out your newfound curls. Using your fingers, work a texturizer through your tresses (try Light Elements Texturizing Crème for weightless hold + moisture) to tame flyaways and coax into a twist. Mixing products can be a great way to emulate the volume and grittiness that comes from a day in the sun and sand. To make your hair look like it dried as you rode in on a surfboard, try mixing a texturizer with sea-salt spray. Our choice product for this look is Pure Abundance Hair Potion. The magic-in-more-ways-than-one mixture transforms in your hands from a power to a light lotion that coats your hair, creating texture and body. For a quick DIY salt spray, mix purified water, a tablespoon of sea salt, and a few drops of hair oil—we love Dry Remedy Moisturizing Oil—in a spray bottle. A few spritzes will give you that coveted second-day hair look. The one-two punch of the volumizer + sea salt helps you achieve a sun-drenched, windswept look, no ocean necessary. This is a great option for anyone who wants or needs to switch up her look post-office and pre-happy hour. In the morning, run a lightweight styling product through your hair. (We love Phomollient Styling Foam for its natural hold and yummy scent.) Pull hair into a high ponytail and wrap around a soft bun ring. Rock the ballerina chic look for daytime. When night rolls around, let your hair down (literally). You’ll be greeted with luxurious, soft waves à la Kate Hudson at Coachella. Plus, you’ll have awesome volume at the roots from having your hair pulled up all day. You’re welcome. Book a flight to the Caribbean, dunk your head in the salty sea and let dry in the sun. We’ll be waiting on the beach with a margarita — see you there!